Very attractive pins in solid gold 750/1000 or 585/1000 or 375/1000. Very discreet and well matched on a jacket. Pins massive yellow gold square compass. 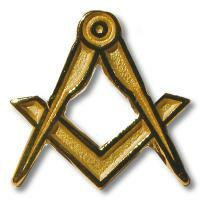 System clasp of security "ALPA"
Notify me of updates to REF 4154 - Gold masonic lapel pin Square & Compass.